Pelaqita Persians strongly believes in the spay and neuter of all non-breeding cats (in other words -- cats that are solely companions, not for show or for breeding purposes). Persian cats are the most recognized of all cat breeds and one of the most popular, and obviously, we feel the ideal companion which is just one reason we feel so strongly about the early spay and neuter of pets. Based on available research, documentation, our own veterinarian's opinion and our personal experience, we believe the age that a Persian kitten can safely be spayed before five months of age. 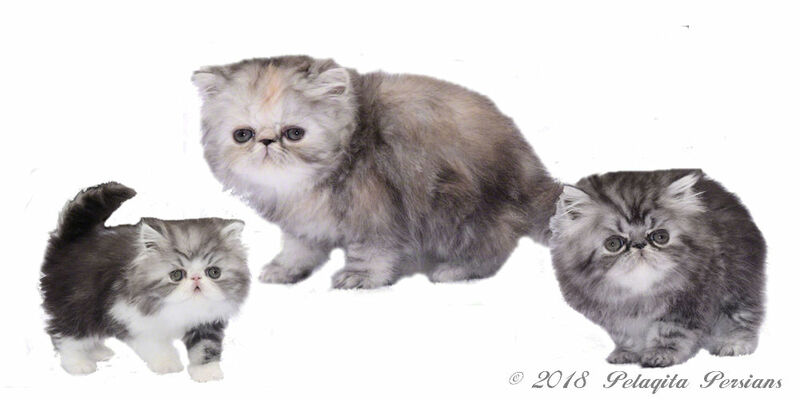 Pelaqita Persians has all kittens being placed in a non-breeding or non-show home spayed or neutered at 11 weeks of age. For over 30 years, shelters have performed spay and neuter on puppies and kittens as early as six weeks of age. Therefore, many years of testing and research has been done about the safety of the procedure with no developmental or behavioral issues associated with being altered early. The following link is to the DVM360 website which contains an article about Early Spay - Neuter study and results. If you get a Persian kitten from someone other than us, your veterinarian may have his or her own opinion of when to spay or neuter a kitten.